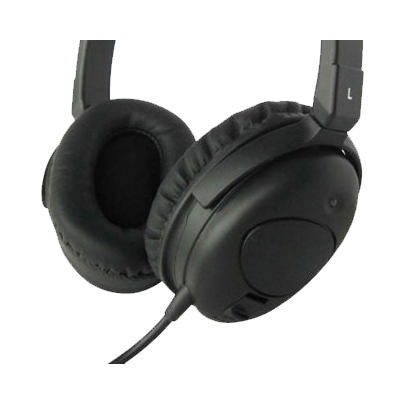 On-Ear vs. Over-Ear Headphones - Headsets Direct, Inc. It is best to take some time to talk with your teachers and computer lab monitors to learn about background noise and the importance of how the speakers should fit when deciding between on-ear vs. over-ear headphones. With either headphones or headsets, you will need to consider how the speakers rest against or around your students’ ears. First is the traditional on-ear headphone wearing style, sometimes known as the supra-aural type. This type has a 1-2 inch speaker that rests against your ear and delivers sound down into your ear canal. On-ear models are generally less expensive and work best in quiet environments. The students can hear sounds around them easier. For example, if a student needs to hear instructions from the instructor, this type may be a better option for them. This style is best for quiet-to-average environments in terms of loudness. 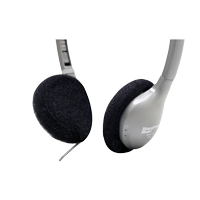 On-ear headphones will also allow for easier and less expensive cushion replacements or covers. Most models will allow for the cushion to be easily removed and replaced as needed. When considering cushion materials, foam will always be less expensive and less durable. If you’re budget will allow, leatherette cushions will be more expensive initially, but will last much longer, can easily be sanitized with a wipe to eliminate the spread of germs, and won’t cling to and pull the hair of students with longer hair, like foam cushions will. Second, is an over-ear headphone, which has a 3-5 inch speaker and cushions that encircle the ear. This is also known as the circumnaural type. This type isolates the listener from outside noises, improving the quality of the sound, because it separates external noise from what the listener is hearing. This design will also keep the user more focused and on task, because they won’t be as easily distracted. The circumnaural style also helps prevent others in the vicinity from being bothered by sound “leaking” from the headphones of other students. This style is best for medium-to-loud environments, Over-ear headphones are a must have and will typically improve test scores, because students will hear better and stay focused longer. As for replacing the cushions, over-ear headphone’s cushions are generally slightly more expensive, because they are larger in size, and more material is needed versus on-ear headphones. Some models may not allow the cushions to be removed, in this case, cushion covers are best implemented to get longer usage out of your headphones. Take away: When deciding between on-ear vs. over-ear headphones, over-ear headphones let users hear better and avoid distractions.